In recent years the Olympics has had more and more citizens reject the hosting of the event in their city. When Calgary declined this week, it marked the first time in history that a former host city had citizens vote down a new bid. The largest issue with the Olympics is the cost of building facilities to be used for just 3 weeks and then hoping there is a financially viable use for them after the games are gone. 102% Average Overage – removing the two highest and two lowest. 100% Average Overage – “First World” Countries removing the two highest and two lowest. If the Olympics were to be permanently located in (say Greece in the Summer and Calgary in the Winter), the cost of facilities would make much more sense. In this scenario it would be possible for the IOC to own the core facilities and rent them out ‘off season’. Greece is the obvious choice because of its history and because its time zone is central to most parts of the globe for the all important broadcast revenue. If the Olympics worked on a circuit of cities (i.e. Summer in Greece, Los Angeles then Beijing) would see Olympic facilities refreshed every 12 years and that makes sense. 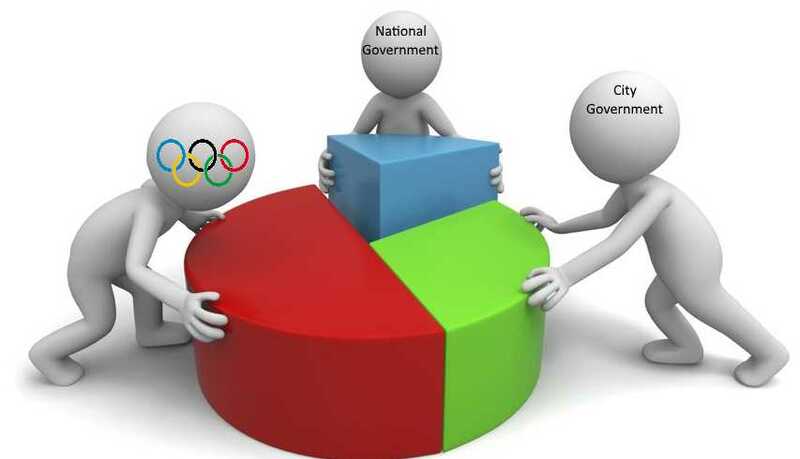 A slight derivative to this model would be to hold two Olympics in the same cities and then add a third city in based on a bid process (i.e. 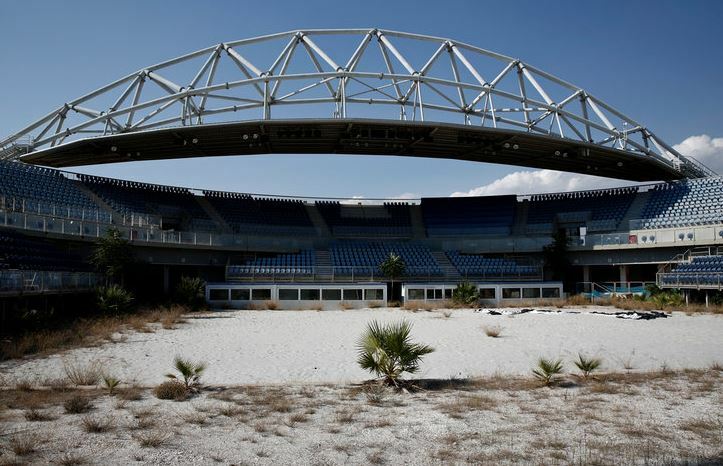 Summer Olympics in Greece, Los Angeles, then a winning bid city). 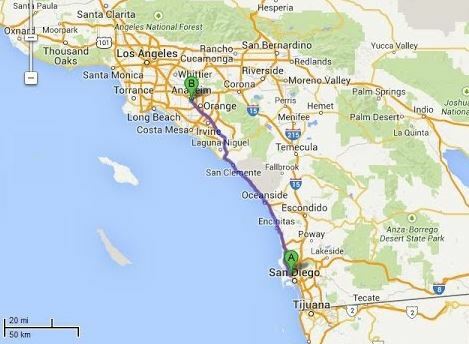 This would eliminate two of three net new venues. Events that require highly specialized facilities that have little use after the Olympics add much cost and complexity to bids. 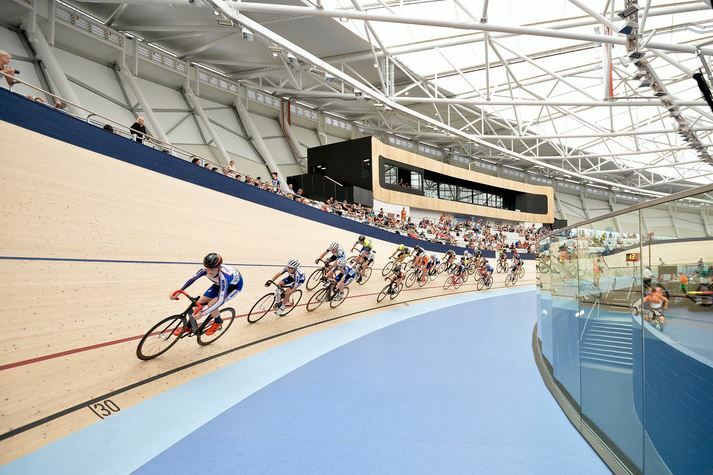 Facilities that come to mind are, the Velodrome (indoor bike loop), and Ski Jumping. Golf and Baseball have already been dropped, because the games take so long to play that that too many very large and golf facilities need to be constructed and then re-purposed after the games. Having the cost of facilities spread out over multiple cities in a region makes a lot more financial sense than trying to jam nearly all of the games into just one city. In the recent Calgary, Alberta, Canada bid, there was a wise decision to include Whistler, BC, Canada as the site for all of the serious downhill skiing events. This would keep costs down for each city and substantially reduce the risk of large cost overruns to any one city. Regional bids would also reduce the infrastructure (airports, roads, police, hotels, car rentals…) pressure on each city. If the Calgary, Alberta, Canada 2026 bid had included Edmonton, Alberta and perhaps Red Deer, Alberta, making it an Alberta, Canada bid the outcome of the plebiscite likely would have been a positive one. Costs would be spread between a larger number of city’s and event facilities could have been located in the city that wanted them after the games. 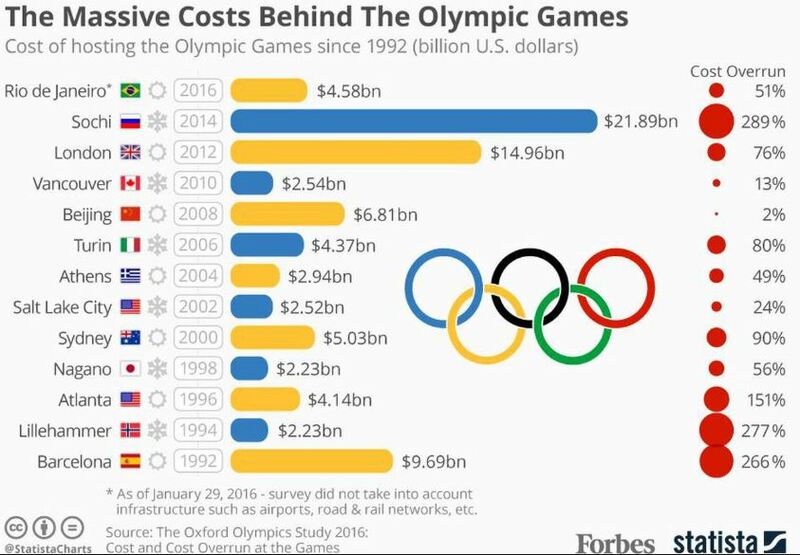 Having the IOC enter into a cost and profit sharing arrangement with a host city would make it much more palatable to local citizens. For instance, the IOC could cover the vast majority of the new facilities cost of the games (say, 80% of sport and temporary housing facilities) leaving cities to cover security and transportation like off ramps and airport expansions. The host city and the IOC could then enter into a profit sharing arrangement for the games revenues (TV, ticket sales, …). As is stands today, the International Olympic Committee accepts very little of the downside risk for THEIR games. This is understandable because they keep awarding the games to developing countries that may or may not deliver on the final product. The way to fix this is to select financially secure locations, like any private sector business would. If the IOC wants to gamble that Russia or Brazil will get game facilities and systems in order, the IOC should be accepting much the financial risk. 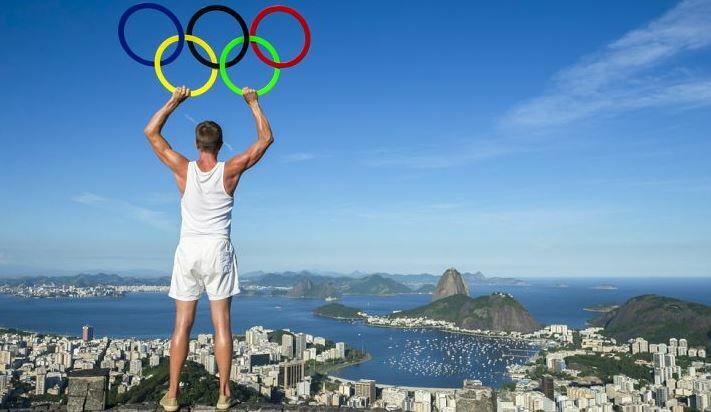 These are just 5 suggestions of how to fix the Olympics. Each one puts more responsibility on the IOC. Each one will also reduce the level of excitement in the ‘winning bid’ city but if the IOC keeps having cities turn them down, excitement will be the least of their problems. Funny But True Video: What Is The Cloud & How Can You Keep Your Data Safe In The Real World?